A project was undertaken to quantify air emissions from three rocket engine manufacturing and testing sites located near Los Angeles. We developed emission inventories for the years 1955 to 1995 for three Rocketdyne facilities in southern California: the Santa Susana Field Laboratory (SSFL) near Simi Valley as well as two other facilities in Canoga Park. 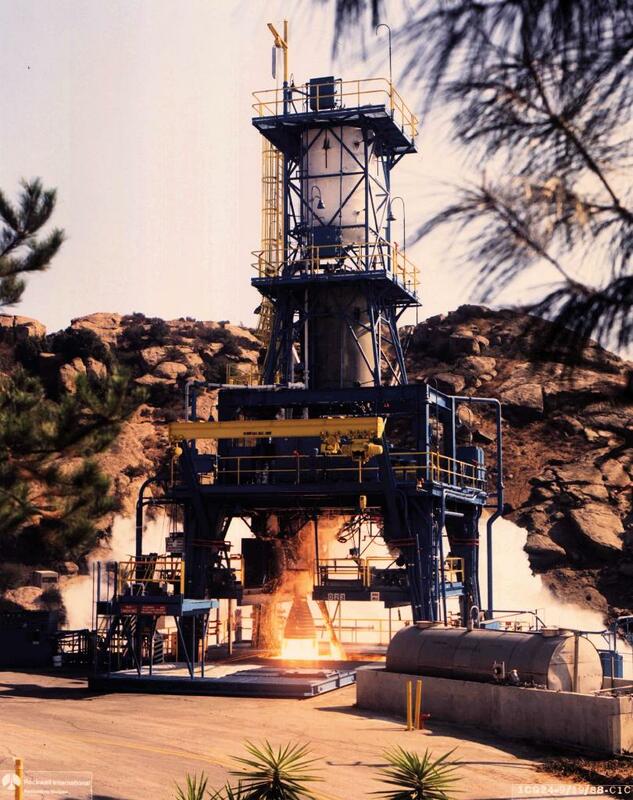 Emission sources included rocket engine test stands, burning of waste fuels and other chemicals in an open burn pit, cooling towers, degreasers and similar solvent-using equipment, and the chrome anodizing and plating operations. Emissions included trichloroethylene (TCE), dioxins, hydrazine, metals, polynuclear aromatic hydrocarbons (PAHs), benzene, formaldehyde, dioxins and furans, and hexavalent chromium (Cr+6). Numerous chemicals were also emitted as part of a "toxic chemical cloud" that formed when contaminated cooling water evaporated at the test stands during the rocket engine tests. The use of "reclaimed" water contaminated with a variety of fuels, solvents and miscellaneous chemicals for cooling rocket engine test stands, the open burning of waste fuels and other chemicals, and inadequate emission controls led to the uncontrolled release of chemical carcinogens into the atmosphere and unnecessarily high emission rates of trichloroethylene and hexavalent chromium.